Indiana’s activities are focused on four prospective gold exploration licences in western Mali, located in the prolifically gold mineralised Kenieba Province, approximately 550km west of the capital city of Bamako. Mali is the third largest gold producer in Africa, hosting multiple operating gold mines along with a number of gold mines in the development stage. 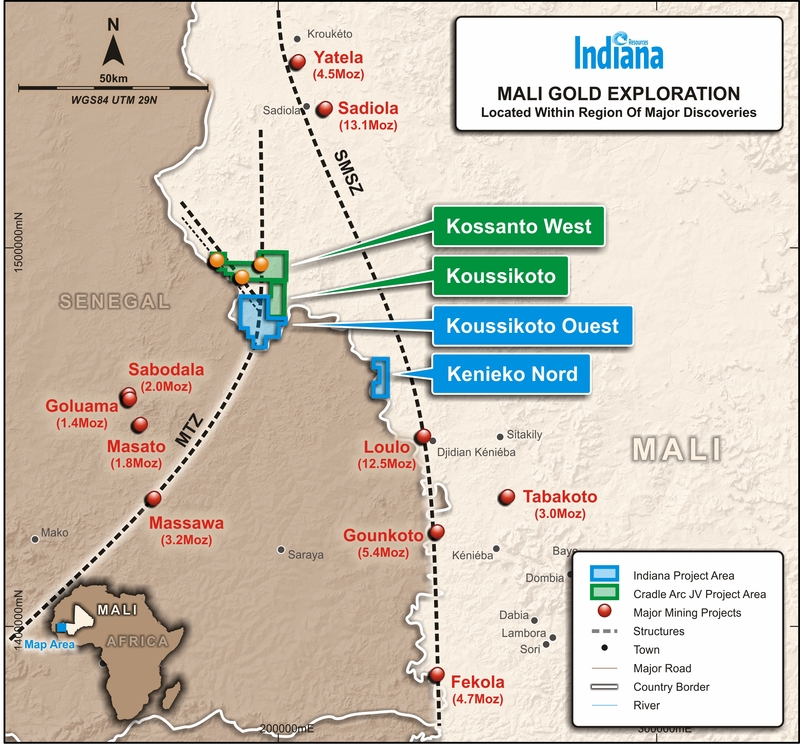 Indiana Resources, through its subsidiary Mukuyu Resources, has been exploring in Mali since 2013.